Kohl&apos;s department stores are stocked with everything you need for yourself and your home – apparel for women, kids and men, plus home products like small electrics, luggage and more. 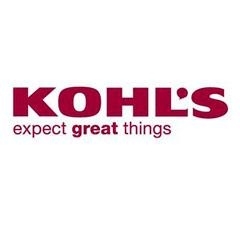 At Kohl’s department stores, we offer not only the best merchandise at the best prices, but we&apos;re always working to make your shopping experience truly enjoyable. From petites to plus sizes, casual jeans to cocktail dresses, and boots to athletic shoes, Kohl’s has the women’s and men’s clothing and accessories that will keep you comfortable and stylish at any occasion. Stock up on basics for the whole family with kids clothes, or replenish your wardrobe with fresh new tees, dresses and suits. Update your home and turn to Kohl’s for beautiful, versatile furniture, home décor and linens. Add color with new bedding or throw pillows and redecorate with picture frames, wall art and area rugs. For every family member, for every room of your home, Kohl’s in Humble, TX has what you need to keep you and your loved ones outfitted in style.